Getting feedback about your business is critical for your online presence. The more reviews and quality of the reviews you have in comparison to your competitors deems you the better service in the eyes of consumers. According to Bright Local’s 2017 Local Consumer Review Survey, 97% of consumers looked for local businesses online, and 85% of consumers use online reviews as a trusted resource as they would trust the opinions of their friends. With this in mind, you want your reviews to be so positive that it drives potential customers to your website or location. Here are a few tips to help you get quality online reviews from your customers. You should always request feedback from customers, irrespective if they had a positive or negative experience with your business. When potential customers look up reviews, they will expect to see criticism, which can also prove that the reviews are authentic. Quality reviews provide details about the overall experience. When asking for feedback on your business, suggest questions that can be answered in their review, such as their experience on the service or treatment, waiting time, or booking process. Rather than just receiving a star rating, you’ll be provided with more detailed reviews. Customers love convenience, so even though you may want more reviews on a specific reputation platform, not many will be willing to sign up on a platform they don’t utilize or not familiar with. Provide a dedicated feedback email – for example feedback@company.com, or create a feedback form where customers can communicate their experience via email. If your customer’s have taken the time to review your business, you should make sure to send a follow-up response in a timely manner. 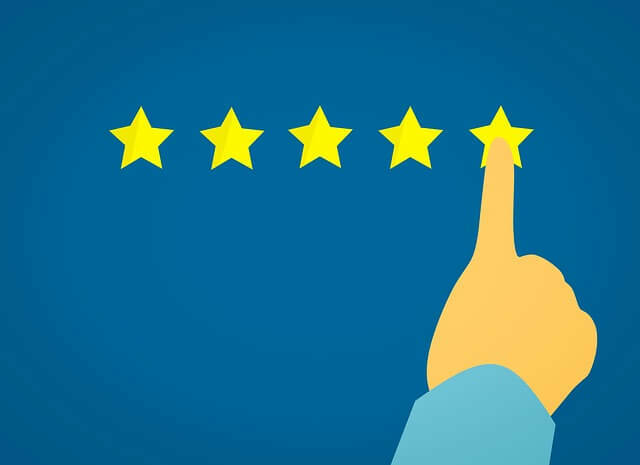 Responding to reviews not only shows that you care about your customers’ opinions, but it also shows that care about improving the quality of services that you provide. When users are looking up online businesses, you will appear along with your competitors. Not only should you be keeping an eye on what customers are saying about your business, but you should also keep an eye out on what users are saying about your competition. This will help you identify strengths in overall customer experience as well as areas of improvement.